Trying to attract a wonderful women into your life is hard enough, but when you start to factor in negative attributes about yourself, it makes your job of finding a great date or mate much more difficult. I have compiled a list of seven items below that if you improve yourself in each of these areas, you will greatly increase the odds of attracting a new attractive and classy dating partner. Fingernails Fingernails are really important to women. Why? Because men touch women (often intimate parts of their body) with their hands. Clean, well taken care of fingernails speak volumes about your grooming and your class or status as a man. Nothing brings up the image of a "farm boy" more than dirty fingernails. If a you work with your hands, it's really important that you wash your hands and clean under your fingernails really well after work. Also fingernail length is important too, keeping your fingernails short and nicely cut is a turn on, keeping them long or "nubby" due to biting them is definitely a turn off.Nose hair / ear hair Nose hair and ear hair is considered by most women to just be gross. As you age, you start growing hair out of your ears and nose, so you've got to be vigilant to keep up with it and clip it back often. Most discount stores sell small trimmers designed just for this purpose. Get a good quality clipper so it won't pull your hair (and bring tears to your eyes) and use it often. Use a 3-way mirror if possible to double check for hair before going out on a date.Teeth Many women consider this the #1 turn off for a man. Healthy, straight, white teeth are universally loved by women. Guys, if you have been putting off going to the dentist and getting the dental work that you need, this has got to go to the top of your list. You need to brush your teeth at least once a day (preferably twice) to maintain good health of your teeth and gums. Not brushing your teeth leads to bad breath, plaque (white film that builds up on your teeth), tooth decay, yellowed teeth, and gingivitis (gum disease). If your teeth are stained yellow, consider getting them whitened by your dentist, or you can use the over-the-counter whiteners that are available.Sloppy dressing It is often said "clothes make the man", this is extremely true. Being well dressed shows your financial status and care of your appearance. Outdated, worn out, or funky clothes will leave you at home watching DVDs when you could be out having a terrific date. Even if you don't have a big budget for clothing, you can always make the best out of what you have. It's more important to have a few high-quality clothes than a whole closet of cheap ones. Make sure your clothes fit well, and are in style. I cannot stress this enough, if you dress like a slob it will be virtually impossible to meet a classy woman.Over weight / Out of shape Whether you go to the gym, play sports, swim, or just go walking, keeping your body in shape is important. Here you want to aim for a healthy weight. Being overweight makes you look sloppy even in nice clothing because your body is flabby. Living a healthy lifestyle is much harder than eating what you want and having a beer gut, but you will be rewarded with more women responding to your dating profile or greeting you in your life, if you are attractive. To attract attractive women you must make yourself attractive. Remember birds of a feather flock together.Smoking Smoking is no longer considered appealing to the general population, only about 15-20% of the population smokes. If you are smoker, you are more prone to have bad breath, leathery/aged skin, and bags under your eyes. Also your clothes smell like smoke, kissing you is not as pleasant as kissing a non-smoker, and you may be viewed as being unhealthy. 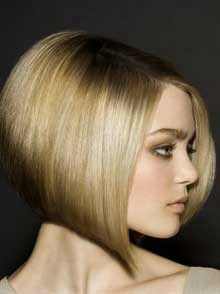 Quit smoking now for your health and for the benefits of attracting more women into your life; Why limit your options to only women who will tolerate smoking rather than having your choice from all available women.Hair Style Finally, hair style is important. Long-stringy hair is a turn off unless you are 19 and playing in a rock band. Make sure you keep your hair washed often and cut with a modern attractive style. If you are bald, you'll need to shave your head often to keep down the stubble. You can easily find what hairstyles are in fashion by watching the celebrities. If you are looking for a change, take a look at what they guys are wearing in the magazines and clip out one that you can take to your barber or stylist.